And just like that it’s time to jazz it up again at the Cape Town International Jazz Festival – with this year marking its 20th birthday! The prestigious event takes place from 29 – 30 March at the CTICC. Reappointed as the official wine supplier, Backsberg is proud to be available in all of the festival’s bars, hospitality lounges and suites. With a superb selection of Backsberg wines on offer, guests can relax and enjoy the show knowing they are in good hands. Performances promise to impress with top international acts such as French-Spanish flamenco sensation, Gypsy Kings and 10-time GRAMMYⓇ Award winning singer-songwriter, Chaka Khan. On the homefront, guests can look forward to being entertained by local acts including Sho Madjozi, The Lady Day Big Band, Shekhinah, Soweto Gospel Choir and many others. 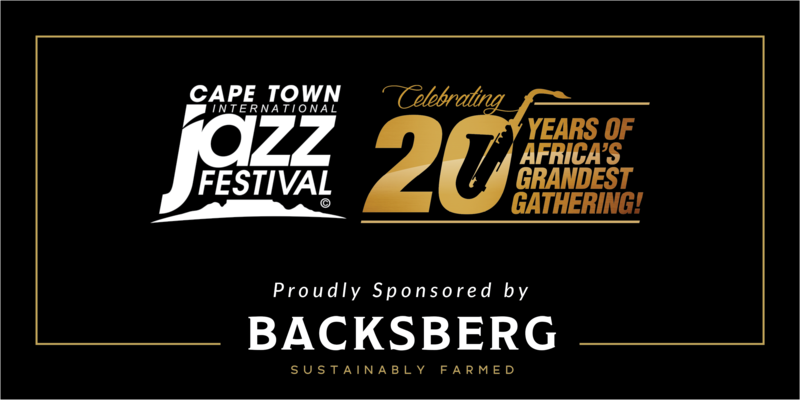 CEO and 4th Generation Owner of Backsberg, Simon Back, is a passionate supporter of South African arts and culture and is proud to be part of the Cape Town International Jazz Festival once again. “Supporting the local art scene has always been important to Backsberg and we are therefore thrilled to be part of a festival which sees South African musicians sharing the stage with international superstars,” says Back. Wishing the festival a happy 20th birthday, and all performers the best of luck –– we are rooting for you all the way!